Return and Refund Policy: All purchases are refundable within 10 calendar days of purchase. However, in the case of in-person training, or in-person events, your purchase becomes non-refundable 10 calendar days after purchase or 10 calendar days prior to the event start date, whichever occurs first regardless of whether you choose to attend or not. TLCS may, in its sole discretion, allow the application of a portion, or all, of the original purchase price towards future training dates, or other product purchases, in the event that I do not attend my scheduled training event. If you have questions or would like to request a refund, please contact us at 877-405-1050 or hello@taxliencertificateschool.com. Our normal support hours are Monday – Friday 8am – 4pm Pacific. Additional Terms and Conditions: I authorize TLCS to use my success story in future publications. I acknowledge that TLCS does not function as my personal accountant, attorney, financial or investment advisor. If I have tax or legal questions, I will seek the advice of an accountant, attorney, or financial advisor. I acknowledge that I am responsible for my actions and hereby release TLCS and its staff, employees, officers or affiliates from liability for any of my actions or comments influenced by the information contained in products and services received. I understand that providing the information on the this form gives TLCS permission to communicate with me by fax, email or phone to relay special offers, announcements and information. EARNINGS DISCLAIMER: EVERY EFFORT HAS BEEN MADE TO ACCURATELY REPRESENT THE SKILLS, CONCEPTS, IDEAS, TECHNIQUES & “KNOW HOW” OFFERED BY TLCS & ITS PROGRAM POTENTIAL. THERE IS NO GUARANTEE YOU WILL EARN ANY MONEY USING THE TECHNIQUES & IDEAS IN THESE MATERIALS. EXAMPLES IN THESE MATERIALS ARE NOT TO BE INTERPRETED AS A PROMISE OR GUARANTEE OF EARNINGS. EARNING POTENTIAL IS ENTIRELY DEPENDENT ON THE PERSON USING OUR PRODUCT, IDEAS & TECHNIQUES. WE DO NOT PURPORT THIS AS A “GET RICH SCHEME.” YOUR LEVEL OF SUCCESS IN ATTAINING THE RESULTS CLAIMED IN OUR MATERIALS DEPENDS ON THE TIME YOU DEVOTE TO THE PROGRAM, IDEAS AND TECHNIQUES MENTIONED, YOUR FINANCES, KNOWLEDGE AND VARIOUS SKILLS. SINCE THESE FACTORS DIFFER ACCORDING TO INDIVIDUALS, WE CANNOT GUARANTEE YOUR SUCCESS OR INCOME LEVEL. NOR ARE WE RESPONSIBLE FOR ANY OF YOUR ACTIONS. TESTIMONIAL DISCLAIMER: THE PERFORMANCE EXPERIENCED BY CLIENTS IN TESTIMONIALS IS NOT WHAT YOU SHOULD EXPECT TO EXPERIENCE. ALTHOUGH TLCS ACCEPTS THE TESTIMONIALS IN GOOD FAITH, TLCS HAS NOT INDEPENDENTLY EXAMINED THE BUSINESS RECORDS OF ANY OF THE PROVIDERS AND THEREFORE HAS NOT VERIFIED ANY SPECIFIC FIGURES OR RESULTS QUOTED THEREIN. THESE RESULTS ARE NOT TYPICAL, AND YOUR INCOME OR RESULTS, IF ANY, WILL VARY AND THERE IS A RISK YOU WILL NOT MAKE ANY MONEY AT ALL. SOME OF THE USERS MAY, IN SOME CASES, HAVE BEEN INCENTIVIZED TO SUBMIT THEIR COMMENTS. PAST PERFORMANCE, INCLUDING WITHOUT LIMITATION, PERFORMANCE DESCRIBED IN TESTIMONIALS, IS NOT INDICATIVE OF FUTURE RESULTS, AND THERE CAN BE NO GUARANTEE AS TO THE ACCURACY OR PERFORMANCE OF ANY PARTICULAR PROGRAM. Duty to Read: I accept that under this agreement I have a duty to read this refund policy given to me and have done so. I attest to this duty and sign on the order form to execute this document. Furthermore, I understand and accept that I am stopped from using lack of reading as a defense against all remedies so contained herein. 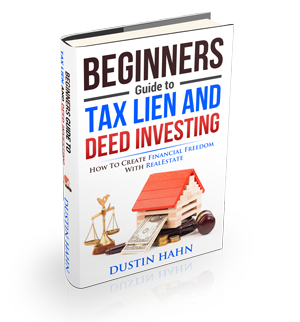 Please note that your credit card statement should reflect a purchase from Tax Lien School.